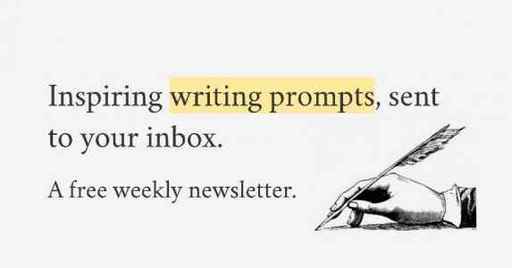 Whether you’re a debut author, a seasoned novelist, or simply looking to flex your creative muscles, writing prompts are an great way to maintain a writing routine. Write a story subverting a fantasy trope. Google is a person you have to talk to if you want to use the internet. Every day when you open your eyes, you see things in different colors. The people in YouTube ads have started talking to you directly. You get a notepad for Christmas. Everything that you write in it comes true. A day in the life of a genie who annoyingly keeps getting summoned by inept humans. Write a short story about the star-crossed love between an orc and an elf. Writing fantasy comes with the privilege of being only limited by your own imagination: the worlds, characters, and plots you can develop are endless. And while that’s exciting, it can also come with the challenge of too many options — with so many possible fantasy story ideas, how do you pick just one to focus on? Hopefully, browsing through the following fantasy writing prompts will give you that lightbulb moment and help you settle on that magic premise. Want more help learning how to write a short fantasy story? Check out How to Write a Short Story That Gets Published — a free, ten day course by Laura Mae Isaacman, a full-time editor who runs a book editing company in Brooklyn. Have a story you’re ready to start submitting? Check out our list of writing contests or our directory of literary magazines. Looking for a supply of writing prompts? Join thousands of authors on our weekly newsletter, and never run out of inspiration again!